Dr. Chikamoto's research focuses on understanding of physical climate processes and climate predictability. Climate variability, predictability and change. Chikamoto, Y., (2018). 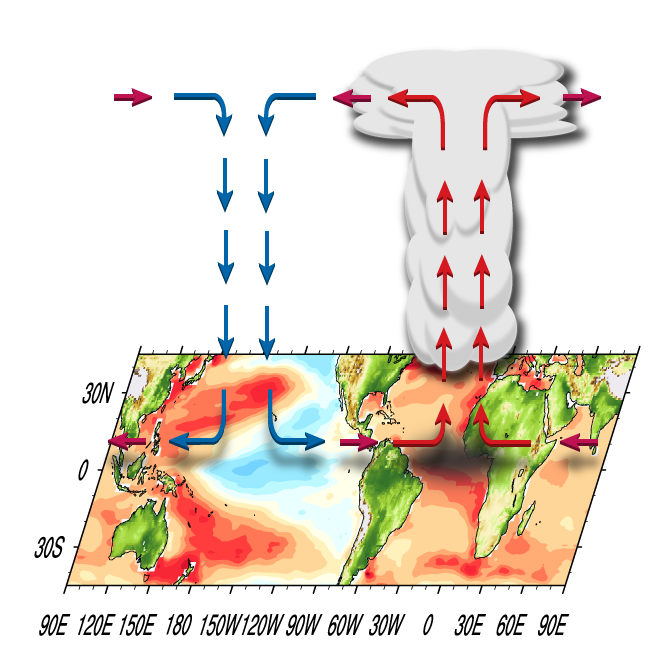 El Nino–Southern Oscillation complexity. Nature, 559:7715, 535-545. Chikamoto, Y., (2017). Tropical Atlantic-Korea teleconnection pattern during boreal summer season. Climate Dynamics, 49:7-8, 2649–2664. Chikamoto, Y., (2017). Multi-year predictability of climate, drought, and wildfire in southwestern North America. Scientific Reports, 7, 6568. Chikamoto, Y., (2016). Tropical Pacific SST Drivers of Recent Antarctic Sea Ice Trends. Journal of Climate, 29:24, 8931-8948. Chikamoto, Y., (2016). Interbasin effects of the Indian Ocean on Pacific decadal climate change. Geophysical Research Letters, 43:13, 7168-7175. Chikamoto, Y., (2016). Potential tropical Atlantic impacts on Pacific decadal climate trends. Geophysical Research Letters, 43:13, 7143-7151. Chikamoto, Y., (2015). Mechanisms and predictability of multiyear ecosystem variability in the North Pacific. Global Biogeochemical Cycles, 29:11, 2001-2019. Chikamoto, Y., (2015). Predictability of Two Types of El Nino Assessed Using an Extended Seasonal Prediction System by MIROC. Monthly Weather Review, 143:11, 4597-4617. Chikamoto, Y., (2015). Decadal predictability of soil water, vegetation, and wildfire frequency over North America. Climate Dynamics, 45:7-8, 2213-2235. Chikamoto, Y., (2015). Skilful multi-year predictions of tropical trans-basin climate variability.. Nature communications, 6, 6869. Chikamoto, Y., (2015). Stochastically Generated North American Megadroughts. Journal of Climate, 28:5, 1865-1880. Chikamoto, Y., (2014). Recent Walker circulation strengthening and Pacific cooling amplified by Atlantic warming. Nature Climate Change, 4:10, 888-892. Chikamoto, Y., (2014). Error Sensitivity to Initial Climate States in Pacific Decadal Hindcasts. SOLA, 10:0, 39-44. Chikamoto, Y., (2013). Hindcast Prediction and Near-Future Projection of Tropical Cyclone Activity over the Western North Pacific Using CMIP5 Near-Term Experiments with MIROC. Journal of the Meteorological Society of Japan. Ser. II, 91:4, 431-452. Chikamoto, Y., (2013). Initialized near-term regional climate change prediction.. Nature communications, 4, 1715. Chikamoto, Y., (2013). An overview of decadal climate predictability in a multi-model ensemble by climate model MIROC. Climate Dynamics, 40:5-6, 1201-1222. Chikamoto, Y., (2012). Predictability of a Stepwise Shift in Pacific Climate during the Late 1990s in Hindcast Experiments Using MIROC. Journal of the Meteorological Society of Japan, 90A:0, 1-21. Chikamoto, Y., (2012). 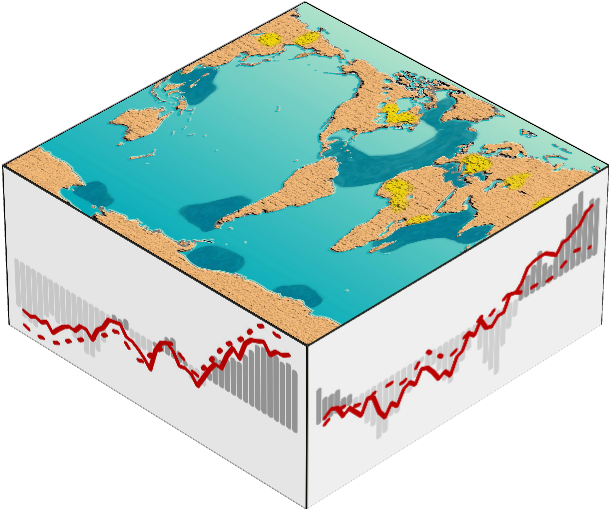 The Initialization of the MIROC Climate Models with Hydrographic Data Assimilation for Decadal Prediction. Journal of the Meteorological Society of Japan, 90A:0, 275-294. Chikamoto, Y., (2012). Relationship between the Pacific and Atlantic stepwise climate change during the 1990s. Geophysical Research Letters, 39:21, L21710. Chikamoto, Y., (2012). Decadal Prediction Using a Recent Series of MIROC Global Climate Models. Journal of the Meteorological Society of Japan, 90A:0, 373-383. Chikamoto, Y., (2011). Impact of the Assimilation of Sea Ice Concentration Data on an Atmosphere-Ocean-Sea Ice Coupled Simulation of the Arctic Ocean Climate. SOLA, 7, 37-40. Chikamoto, Y., (2010). Subtropical Paciﬁc SST Variability Related to the Local Hadley Circulation during the Premature Stage of ENSO. Journal of the Meteorological Society of Japan. Ser. II, 88:2, 183-202. Chikamoto, Y., (2010). Pacific decadal oscillation hindcasts relevant to near-term climate prediction.. Proceedings of the National Academy of Sciences of the United States of America, 107:5, 1833-7. Chikamoto, Y., (2007). Evidence of growing bred vector associated with the tropical intraseasonal oscillation. Geophysical Research Letters, 34:4, L04806. Chikamoto, Y., (2006). Air-sea humidity effects on the generation of tropical Atlantic SST anomalies during the ENSO events. Geophysical Research Letters, 33:19, L19702. Chikamoto, Y., (2005). Role of Specific Humidity Anomalies in Caribbean SST Response to ENSO. Journal of the Meteorological Society of Japan, 83:6, 959-975. Tropical trans-basin variability (TBV) is characterized by a zonal seesaw of atmosphere-ocean variations between the Pacific and the Atlantic/Indian Ocean basins (McGregor et al., 2014; Chikamoto et al., 2015). Although the tropical Pacific variability is a major driver to induce interannual-to-decadal climate variability in the other basins (Chikamoto and Tanimoto, 2005; 2006; Chikamoto et al., 2010), the atmosphere–ocean variability in the Atlantic and Indian Oceans can feed back to the Pacific through trans-basin interactions and global displacements of the Walker Circulation (Chikamoto et al., 2012; 2015). In contrast to the El Nino Southern Oscillation, the TBV shows low-frequency variations on decadal timescales because of the larger spatial scales. As a result, the TBV can be predictable up to 3 years in advance by the state-of-the-art climate prediction system. In view of the global impacts of the TBV on precipitation and sea-level anomalies, operational predictions of the TBV may translate into better assessments of risks in sectors, such as coastal and water management, forestry and agriculture. Decadal climate prediction is a new challenge of forecasting climate conditions for upcoming several years. While global surface temperature shows a warming trend on centennial timescales associated with greenhouse gas increases, this warming trend is modulated by natural climate variability on interannual-to-decadal timescales (Mochizuki et al., 2012; Tatebe et al., 2012; Chikamoto et al., 2013; Doblas-Reyes et al., 2013). Successful decadal predictions mainly rely on long-term ocean memories, particularly in low-frequency climate phenomena in the higher latitude region, such as the Pacific Decadal Oscillation and the Atlantic Multidecadal Oscillation (Mochizuki et al., 2010; Chikamoto et al., 2013; Doblas-Reyes et al., 2013). Recent works discover some decadal predictable processes of the land hydroclimate in North America (Chikamoto et al., 2015) and marine ecosystems in the North Pacific (Chikamoto et al., 2016).